This blog post is the first of two on the making of the Anathem Illuminated First Page art print. The second post will be published on October 3. I tend to be painstaking about the details of my work; I research thoroughly and try to make sure I have a reason for everything to be where it is. When I asked for permission to work with text by Neal Stephenson – an author who is known for his extensive research and attention to detail in everything from historical research to eating Cap’n Crunch – I knew that I was setting myself up for a lot of thinking before the art could happen. Why Isn't It Written in Orth? At Neal Stephenson's request, Jeremy Bornstein created an Orth alphabet and language notes. The first decision I made, once I got the green light from Neal’s agent to go ahead with this project, was that I wouldn't be using it. First, this passage isn't in Orth. While I am certain there are some Neal Stephenson fans, myself included, who would squee happily over someone translating the definition of Anathem into Orth, there's not enough there to do it yet. I am not any sort of linguist such that I could do a credible job of building Bornstein's work out any further. The characters of Orth invented by Bornstein. Go ahead and make “orthography” jokes. Second, Orth and English are not a one-to-one substitution for sounds. Transliterating the passage into Orth letters would be clumsy and inaccurate. Even were I to do it, I doubt that the small number of fans who are familiar enough with Orth to recognize it on sight will ever see this art. Everyone else will just think that I put Greek letters and Tironian Notes in a box, shook them until they were thoroughly mixed, then wrote them down in whatever order I pulled them out. While that might make a fascinating drinking game for Medievalists, it's not going to result in comprehensible calligraphy. Third, my game is broad-nib calligraphy, and the Orth alphabet is a rather unbeautiful monoline script. It is unfamiliar enough to most readers that, were I to make any significant alterations to make it "prettier," I might just make it unrecognizable instead. When calligraphing a passage like this, legibility is paramount. Once we’re staying in English, the question becomes, which English, or rather, Latin alphabet script to use? The Mathic world, as a deliberately Luddite community within a larger, technically advanced world, doesn’t map onto any particular period in our history, so I can’t match it that way as I did with “Penric’s Demon.” But we can assume that Arbre has a similar history to our own from which the avout could pick and choose what to adopt into their society. So what script, or even, what values would appeal to the Mathic world? The Mathic world cares deeply about the transmission of knowledge. Presumably they would want to use a script that would be clear and easy to read. Based on the profligate use of leaves by Erasmas and the other avout, it seems there wouldn’t be sufficient pressure to conserve writing space to merit sacrificing any clarity in favor of a more compact script, as in Gothic hands. No other medieval 'reform' of script, or rather canonization of an evolved script, was as far-reaching and systematic as that of Caroline miniscule. Its successful diffusion throughout much of early medieval Europe was closely linked to an increase in intellectual activity based on the dissemination of texts… It offered a disciplined alternative to the plethora of national hands and sub-Roman scripts and, as part of a campaign to achieve standardisation of texts, contributed to a semblance of cohesion amongst the varied elements which formed the Carolingian empire. When I read that, I knew I had found the script I wanted to use. For my script exemplar, or the example from which I copied the script, I chose the Ramsey Psalter (BL Harley MS 2904), which is of a subgroup called English Caroline miniscule because of its geography. The Ramsey Psalter hand is so pretty it was used by Edward Johnston as the inspiration for his Foundational hand when he revived English calligraphy in the 1800s. Because the avout of 3000, or 3990, would have the entirety of the artistic history of Arbre from which to draw, figuring out how to decorate this piece was less about finding the right historical references than it was about figuring out Mathic values: what sort of value would they ascribe to the codex this page comes from? What resources, both time and material, would they devote to it based on that value? How would they expect to use it? I decided that, on the scale of pure utility to luxury, a copy of The Dictionary would probably be a middle-grade manuscript. It would merit a skilled scribe copying it out in a clear hand rather than just being copied over by whoever happened to be free at the time. It would be laid out nicely and would have some amount of decoration, but it wouldn’t have any sort of figurative scenes, and it wouldn’t get any precious metal leaf or paint. 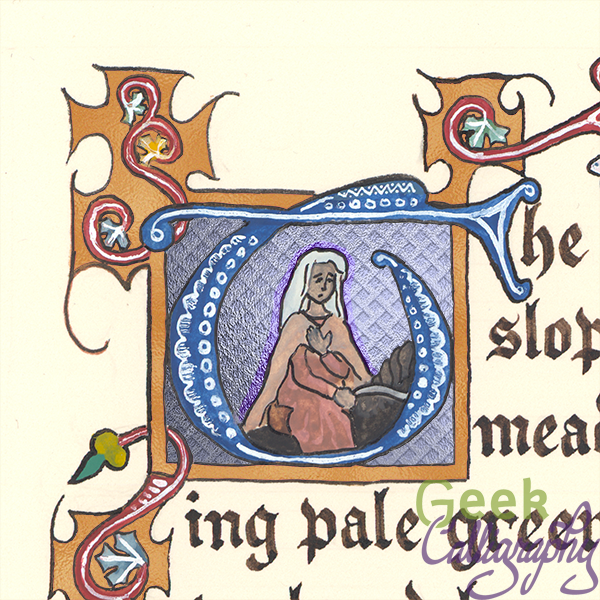 (Since gold or silver is what technically makes a manuscript “illuminated,” this is really an illustrated manuscript.) 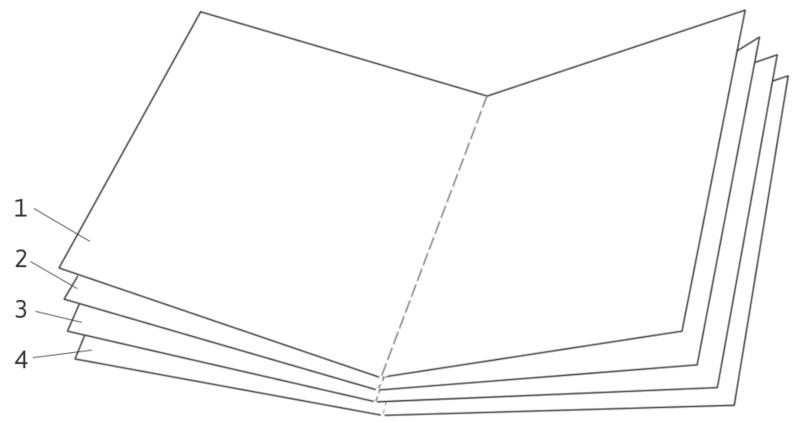 Above all, it’s a manuscript that is intended to be functional, and its function is to convey meaning. That function may be enhanced by some amount of decoration, but it should not be obscured by it. Based on that ideal, I decided to go back to Caroline miniscule manuscripts to draw inspiration for how to emphasize the titular word of the piece. Many Carolingian manuscripts use Roman capitals, usually in red ink, for the incipit (opening line) and explicit (closing line) of each passage or chapter to great visual effect and clarity. 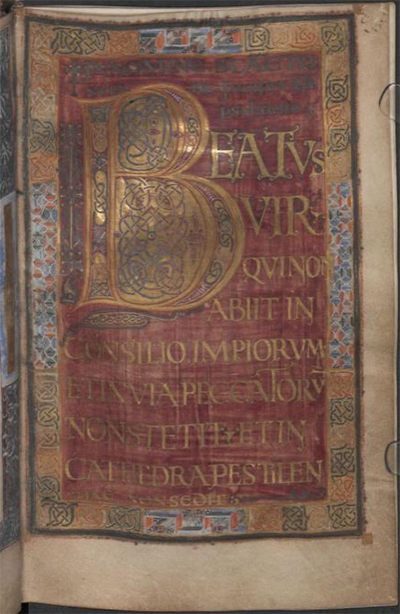 Moutier-Grandval Bible (BL Add MS 10546), Capitularies of Charlemagne, Louis the Pious, etc. (Beinecke MS 413), and Biblia latina utriusque Testamenti (Stiftsbibliothek Cod. Sang. 76) are some excellent examples of this style. As a display piece meant for fans of Anathem, I also wanted to include a special decorative flourish referencing the themes of the book. Clarity of meaning need not translate to “plain,” after all, and the mathic world would appreciate images that work on multiple levels. After looking at the Dagulf Psalter (Österreichisches Nationalbibliothek, Cod. 1861), I spent part of an evening contemplating backing the title word in aperiodic tiling shapes, with no small amount of fascination and terror. It wasn’t so much the idea of drawing so many tiny shapes by hand that made my brain seize up, it was the aperiodic part. I’ve done enough radial symmetry work that looking at designs that are just a little off felt a bit like Erasmas’ description of Chapter 1 of The Book – rhymes and meter that are all just a bit off. Fortunately, I came to my senses. Tiling is for tiles, not for manuscripts. And the Dagulf Psalter is also known as the Golden Psalter for good reason: it is not any sort of middle grade anything, it’s as high luxury as they come. That includes the profligate usage of pigments to produce solid blocks of color behind text, which wouldn’t read well if it wasn’t then written in gold anyway. I decided that a Directed Acyclic Graph would be a much better visual cue to the themes of the novel, but I wasn’t sure how to incorporate it. Once again, the answer came from a Carolingian manuscript convention. I was flipping through The Bible of Illuminated Letters by Margaret Morgan when it suddenly occurred to me that the loops of Ottonian capitals looked a bit like the loops of a DAG. From there, it was an easy leap. After checking with a mathematician that no, such a DAG wouldn’t be appallingly nonsensical, I just reproduced an Ottonian capital A with a bunch of additional termini and arrowheads. I also added a left leg, to the A, since again, I want it to be readable by a modern audience. Plus, I liked the visual balance it lent to the overall composition. The Otonian capital ‘A’ from Margaret Morgan’s The Bible of Illuminated Letters. Note the lack of left leg. Draft of the DAG ‘A’ inspired by the Otonian letter. Next time we will look at the practical considerations of making an Edharian manuscript page. I finished The Calculating Stars by Mary Robinette Kowal on Friday evening, August 24. Terri had finished both books in the Lady Astronaut duology by then, and on Monday when we both managed to be on a computer at the same time, Terri started poking me to do Lady Astronaut art. But Terri suggested we do something with a biblical quote about the stars and the idea was planted and wouldn’t go away. Terri suggested a rocket and I suggested art nouveau instead, because I hate painting rockets, and I had been thinking for a while that I hadn’t done any art nouveau lately. And then it sat for a bit. Waiting. And suddenly the idea was in my brain and wouldn’t get out. One problem: it was the week before Rosh HaShanah and I didn’t have any time for anything, particularly not an involved art project. Then, a few days later, I found Mary Robinette Kowal’s newsletter in my mailbox highlighting the Lady Astronaut fan art contest. Deadline for entry: September 21. Yeah, there was no way I was going to make that deadline. Except the idea would not let me go, and two days after Rosh HaShanah I started working on a draft in earnest. I did a full pencil of the final on Sunday and have been painting since Monday (with a stop for, you know, Yom Kippur on Tuesday afternoon and Wednesday). Two years ago I wrote this post. Sadly it is still relevant and in the intervening two years I have only become angrier and more disillusioned by the evils of the Capitalist machine and all the other -isms that tend to come bundled with it as a package deal. I'm a member of a labor union in my day job and the hard limit on the number of hours I work thanks to that union (and the organized workers' lobby before them) is what allows me to pursue my art; without it, I am certain my job would gobble every hour I could give and demand more. So drink a toast (doesn't have to be alcoholic) to the workers and activists of yesterday, today, and tomorrow, remember that something you love is still labor, and get over the idea that labor unions are only for blue collar jobs (and for pete's sake, recognize that blue collar jobs are very worthy of respect). Image reads "I am an artist. This does not mean I will work for free. I have bills just like you. Thank you for understanding. "The Starving Artist trope needs to DIAF." I have been having the same, or similar conversations, in various forms, a lot of late on social media. So I decided to write about it at more length than I can in 140 characters, even in consecutive tweet. The topic is only somewhat related to Labor Day, not being about an Artists' Guild or other organized labor movement. But it is about recognizing the labor of artists and valuing it properly, so I thought this would be an appropriate time to post about it. You probably know the trope of the Starving Artist; it's quite common in American culture. It's the one that says that artists almost never make enough money to make ends meet and that aspiring artists have no sense of practicality and make no plans to support themselves while they blithely pursue their art. This trope needs to Get Gone. The Starving Artist trope was popularized during the Romantic era in Europe and America, which peaked around 1800-1850. In America, it had a large overlap with the Bohemian movement. Both of these groups valorized the idea of devotion to art - be it writing, visual arts, music, etc. - to the exclusion of all else, particularly material concerns. In these environments, the Starving Artist was an aspirational model, not a negative image. The 1980s and 90s saw a bunch of movies, TV shows, songs, and other artistic projects showing the young artistic hopeful arriving, usually in NYC or LA, with just a suitcase and a few dollars in their pocket, also presenting this image in a positive light. Jonathan Larson's musical Rent, based strongly on Puccini's Romantic-era opera La Bohème, was probably the pinnacle of this trend, though I'm sure some people would put in a word for "Don't Stop Believin'" by Journey. The evil counterpart of the Starving Artist is the Sellout, the person who has decided to abandon their artistic dream in favor of creating Extruded Art-like Product in exchange for money. The stereotypes of the Starving Artist and the Sellout combine to create a double-bind of expectations for artists. Artists are starving, so if you want to be an artist, the immediate assumption is that you are an impractical flake with your head in the clouds and no economic sense. If you are already working as an artist and have the audacity to require payment for your work, you must be a greedy Sellout and your art can't possibly be good enough to be worth your quoted rate. Artists are "right-brained" people, so they don't pursue their careers logically and you can't possibly have a realistic plan or expectation of how hard you are going to have to work. 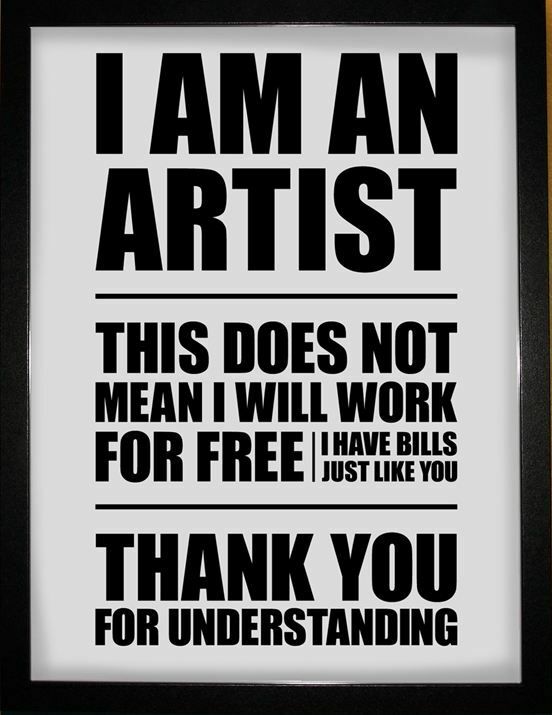 And if you have a day job and pursue art on the side, why are you demanding to be paid for your hobby? This is galling enough on its own, but even moreso when compared with the treatment of another group of creative dreamers in America: "entrepreneurs." Wikipedia defines Starving Artist as "an artist who sacrifices material well-being in order to focus on their artwork. They typically live on minimum expenses, either for a lack of business or because all their disposable income goes toward art projects. " But this description could also be applied to an entrepreneur in the throes of starting up a business. Startups have a high rate of failure, but we don't have a derogatory "Starving Entrepreneur" trope; in fact, people who do that tend to be lauded by the American capitalist machine. And I don't buy that this is due to the newness of entrepreneurship compared to art - the Romantic period that saw the birth of the Bohemian ideal was in large part a response to the Industrial Revolution, so the tension between these two groups goes back plenty long. Someone who lives on ramen while working on the next big app, or mortgages their house to finance their restaurant, or works at a day job and then codes all night, etc., is considered "goal oriented," or at least they are if they succeed. We don't tend to hear about failures because they don't match the cultural narrative surrounding entrepreneurs and The American Dream. Artists who live meagerly are derided for "not having a real job," or living in an "unsustainable way;" those of us who work a day job are frequently condescendingly applauded for recognizing that our art will never be a going concern. Our failures are incorporated back into the cultural canon and our successes are forgotten because they don't fit the preconception of the Starving Artist. It's confirmation bias at its most basic. I am far from the only one who experiences this problem. Plenty of people attempt to get artists to do work on the grounds that it will be a good portfolio piece, or that the project will bring them publicity. The twitter account @ForExposure_txt documents some of the egregious examples of this trend. Another common trend is the non-profit that asks artists to donate their work "because it's for a good cause!" but would never dream of asking their plumber to do likewise. People who accept the quoted prices of consulting firms without a blink try to bargain artists down. The perceived valuelessness of the time and work of artists is, I suspect, one of the factors that causes Patreon to be so much more contentious than other crowdfunding platforms, like Kickstarter and GoFundMe. A society that derides us for not being able to support ourselves through our art and then turns around and demands that we work for free or insultingly low rates is hypocritical and sick. Our lovely capitalist machine demands that far too many people in a variety of jobs work below the poverty line, but what I am addressing here is the particular moral outrage expressed at artists who have the gall to say that they deserve to get paid, not just be snivellingly grateful for whatever pennies get tossed our way by noble and beneficent people with "Real Jobs." Artists know our vocation takes an enormous amount of hard work, dedication, and perseverance. We're not in denial about this. For some of us this means we work a day job while pursuing art at night and on the weekends, sometimes for a few years, sometimes for all our working lives. For some of us it means paring away our expenses until we can live within our earnings as artists. For many it is a combination of both. We do this so that we can produce the art we love, which we hope you will love, too. Artists make things that are beautiful, profound, disturbing, thought-provoking, challenging, and sometimes things that exist just to make you happy. We deserve respect for this work. And we deserve to get paid. And the Starving Artist trope, which tells a story that we deserve none of this, needs to die in a fire. Sometimes profanity is required. When someone asks you to work "for exposure," for example. Or for "portfolio development." Or tries to haggle you down from your stated prices by trying to convince you that you're not actually that good. Remind yourself to stand firm and insist on being paid what you are worth with this print. Beautiful letters and graceful flourishes deliver a blunt message with class. Available in three sizes. All come with a blue mat and ship flat. Select Size 20" x 16"14" x 9"10" x 8"
For anyone who read Neal Stephenson's Anathem and though "I'd love to go live in a math," "I wish I had the opportunity to meet people from other universes in the polycosm," or just "Wow, that was a great book," our new art print is for you. Created with the permission of Neal Stephenson (eeeeeeeeeeeeeeeeeeeeeeeeeeee! Ariela and Terri are both huge fans), we are proud to bring you a manuscript page produced in the Cartasian mathic style. Written on a yellowing "leaf of a page tree" with delicate veining showing throughout, the body text is written in a delicate brown-black ink with the title in red. 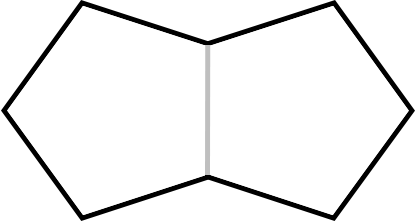 A directed acyclic graph makes up the initial letter 'A' in a nod to the polycosm. This is a limited edition run of just 100 art prints. Each print is matted on a white, archival-safe mat and comes ready to hang or to put in an 11”x14” frame. Ships flat. $55 each. While we normally do product releases on Wednesdays and blog posts on Mondays hereabouts, Jewish holidays are about to start, rendering any hopes of "normal schedule" utterly borked. We will be taking a short hiatus for Rosh HaShanah and Yom Kippur. The "Making Of" blog posts for this piece will be posted on Wednesday, September 26 and Wednesday, October 3. Thanks to the wonders of the postal system, though neither Terri nor Ariela will be at Confluence 2018 this weekend in Pittsburgh, our art will be in the Art Show! We're sad to miss it, because some of our faves will be there, but we hope that everyone going has an excellent time and gets to take home some of our art. We're in Wedding Season, which means that lately I have been fielding lots of requests for custom ketubah work. Some of those inquiries ares for custom text calligraphy to go with pre-existing art, or to go with art from a family friend. Most requests, however, are for original art with a hand-calligraphed text, which is what we're discussing today. On my first call with prospective clients, the question at the top of my list is always "Why do you want a custom ketubah?" I don't ask because I'm looking to judge their reasons, I ask because the answer tends to tell me a lot about what my experience will be working with them. If the answer is anything other than "We have a very specific vision for our ketubah art," the next thing I tend to do is to try to persuade them to find a pre-existing print and get that instead. Gone are the days when there were only a very few, cookie-cutter designs and one text available. You can find ketubah art in almost any genre and most artists can accommodate a custom text, too. In most cases, there is simply no need for a custom job. But Ariela, you say, why would you try to turn away a potentially lucrative commission? The answer is that planning a wedding is a miserable experience that is long, and expensive, with scrillions of tiny details that must be attended to individually. And commissioning custom art is a process that is long, and expensive, with scrillions of tiny details that must be attended to individually. Trying to complete the two projects simultaneously isn't something to do on a lark; you have to really want it to make it worth it. Even if you do want it, it's still no cakewalk. My spouse and I ditched art completely and we still had hours of arguments about the text. The Wedding Industrial Complex means that working with overwhelmed, stressed clients is part and parcel of the wedding gig. But a wedding vendor can make it easier on their own self and on the clients by helping them to cut out unnecessarily complicated steps. But to do that, you have to figure out what is necessary. Which is why I ask "Why do you want a custom ketubah?" If it's important to you, let's talk. I love to create things that are truly special to people. But if it's not, perhaps it is time to let go of expectations (your own, or others'), and put your time, attention, and money, on things that will make a bigger difference to you. Wishing you a stress-free wedding season, as much as it is possible. We're Off to WisCon 42! It's Memorial Day this weekend, which means that we're off to WisCon! Per usual, art will be in the art show. It will be a small subset of what we have on the website, but there will be lots of everything we bring, including an early opportunity to buy the June product release (it's a new sticker with completely new art). The art show will open on Friday evening with a reception from 6:00 to 7:30 PM and we will both be there. Look for the ladies wearing green and purple and chances are you've found us! Also, for the first time ever, we'll be on a panel together! Two, in fact! Are you a creative? Are you partnered to an artist? Do you manage an artist professionally? Come and talk about management strategies, how to keep yourself and/or your artist from burning out, and learning how to Outsource Things You Are Bad At. Most of us remember Feivel Mousekewitz, a Russian Jewish mouse who emigrated to the United States in 1885 with his family, all fleeing religious & political persecution, They heard wondrous stories of life here, only to find America has its own problems. In our current political climate, many issues are relevant again: immigration, treatment of workers, distribution of wealth, police brutality, xenophobia. These films do a great job of tackling tough but important issues for a young audience, a task that children's films in the last decade have ignored. At the same time, Yasha's relief that "In America, you can say anything" sails over the heads of young viewers. These films also portray Judaism as a religion and a culture, without tokenization. So much culture is owned by corporations that it's difficult/impossible to imagine successful authors, filmmakers, musicians, animators, or others who aren't paid via a contract with a major publisher, studio, or production company. Is there an alternative to that? Do cultural "properties" (lol) have to be old in order to truly be shared? If I spend the afternoon thinking about Mickey Mouse, does Disney own the inside of my head? Socially progressive movements are increasing in popularity. So much so that it's become harder to discern who is in the fight for real, and who is just going through the motions, checking off more and more proverbial boxes in order to appear to be a good person. During this panel, we will talk about how to spot and address those people who fall into the latter category, as well as our own respective socio/political/economic stances and how they've evolved. Because no one is perfect. The programming on the SyFy Channel has had its ups and downs, but today it is giving us something missing from the offerings of many other channels: a diverse array of women as protagonists. From Killjoy's Dutch to the title characters in Wynonna Earp and Van Helsing, SyFy programs let us see these women as fully-realized characters, and not just the secondary story to the leading man. This is a panel to discuss what SyFy is doing right with its leading women, as well as where it still has room for improvement. Marvel and DC are currently battling it out on both the big and small screens for dominance with multiple movies coming out yearly, as well as new shows on various networks and streaming sites. There are also multiple shows on SyFy based on comics, as well as The Walking Dead and Comic Book Men series on AMC; Riverdale, which is based loosely on the Archie comics characters; and Amazon Prime has picked up a revival of The Tick. Let's dig in and discuss these tv and movie adaptations. Are we getting enough representation? Which shows and films are doing better, and which worse? We will also be attending the Dessert Salon and the GOH speeches.